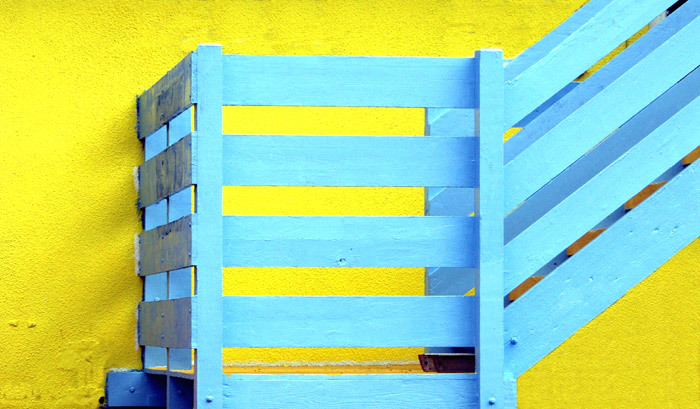 Part of an fire escape, I thought the colours went well together. A very beautiful geometrical composition. Nice. Very beautiful and well done. My congratulations again, John Weeks. Excellent use of color and form to produce a pleasure for the eye to see. Is not overexposed. Composition, lines and contrasts are great. Excellent composition and great colors! Excellent work with beautiful graphism!